Breathe Deeply and Smile: Get ready, Baltimore-Shack Track and Field is Coming! Someone from Charm City Run will be bringing along a drop box to stash extra clothes, your keys, wallet, phone, etc. so you can grab them at Shake Shack right after the run. 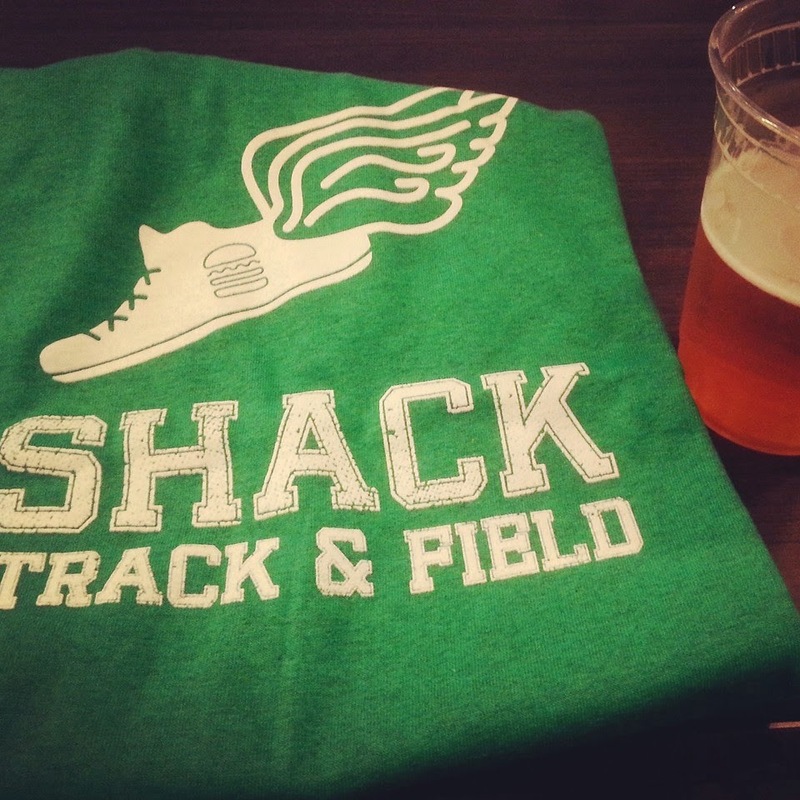 You can even snag an awesome Shack Track & Field shirt to rep around town! 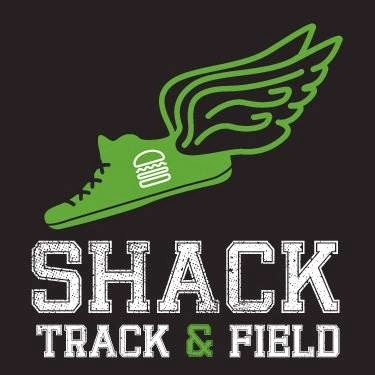 More information including all the dates & locations for each of the Shack Track & Field runs can be found on their website. They will be spreading the word around Baltimore to get people to come out next month during the next few weeks. 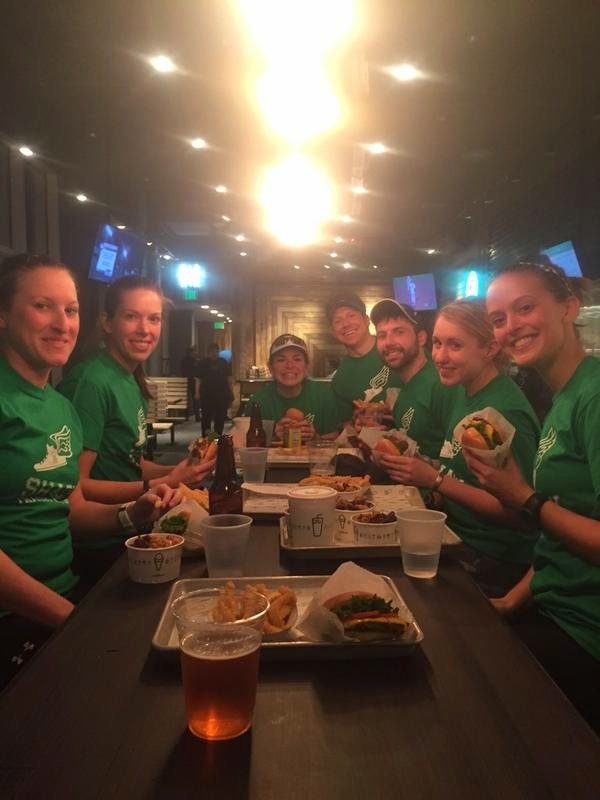 It's only once a month so indulging in some beers and burgers after getting your sweat on with other runners won't leave you feeling guilty and makes for a nice monthly social gathering and way to meet fellow runners in the city. I suggest carpooling or taking public transit home if you do decide to eat though. The little over a mile run back to my apartment after a burger, 2 beers, and some fries was not the most pleasant time! Update: You can find information about Baltimore's May Shack Track & Field run here. Have you ever been to a Shake Shack? Do you do any social group runs? A fantastic idea for sure! Aw well maybe your travels will take you near a Shake Shack one lucky Tuesday!